Have you ever heard of Soylent? Soylent and its competitor Ambronite are meal replacement beverages. Soylent is the most recognized product by far. Soylent shot to fame in 2014 after its founder/creator, software engineer Rob Rhinehart of Silicon Valley, decided to try to take "Diet Hacking" to the lab. He found that with his busy work schedule eating was an inconvenience and he wanted to formulate the "Perfect Meal" that could replace eating as we know it. This meal would contain "ultimate" nutrition and could be consumed in place of every meal. Soylent became a crowd-funding darling, raising over $3 million, allowing Rhinehart to take his concept to the lab and into production. Since that campaign, Soylent has acquired over $20 million in its initial round of venture capital financing. Much has been written about Soylent over the past year and a bulk of the press has been negative, talking about the poor quality of it's ingredients and the ridiculousness of never eating real food again. And yet, Soylent is so popular that it cannot keep up with production. There was a 4 month backorder waiting period for new orders. So what is the deal here? And why am I writing about this now? I'm writing about this now because according to the LA Times, more pairs of tech savvy entrepreneurs are now hitting the lab in an attempt to hack our diets by creating a complete meal in a beaker. Which raises the question: are we ready for the end of food? Is this progress or a misguided movement? Meaning: this topic is as relevant as ever. Let's take a step back and first get a little background on Soylent and how this company has come to be valued at $150 million this year, selling over 1 million of it's daily powder pouches and already becoming profitable. Soylent is the brainchild of CEO Rob Rhinehart, a Silicon Valley software engineer. He was working very long hours and having serious money concerns as he and his small team of friends/business partners were attempting to get a startup off the ground. Trying to save money wherever he could, Rhinehart looked at his lifestyle and noticed that eating was one area that he could improve upon. Even while consisting on classic budget foods, such as ramen, his food costs were still substantial. He researched nutritional biochemistry and determined what he felt that current science had come to agree were the 35 essential nutrients for human survival. He then purchased these individual components on the internet and poured the powders and pills into a blender. So how do I feel about this? The idea of formulating the perfectly nutritious meal has been envisioned before. Science fiction has embraced the idea many times, even going so far as to imagine meals in pill form. Ever since we've started identifying key nutrients in foods and their role in our bodies, someone looking to make a lot of money has set forth on a giant lab experiment that involves taking individual components of foods (certain vitamins, minerals and macronutrients) and trying to combine them into a meal of "Ultimate Nutrition" that is somehow still palatable. These "Ultimate" meals are usually formulated as powders or liquids. We do not yet fully understand the complexities of our food and dietary habits. Yes, food science and nutrition research has come a long way over the last several decades. We know a lot more than we used to. We have names for many more micronutrients (vitamins and minerals) and understand a number of the chemical pathways that they are involved in. We also understand that certain diseases are caused by specific nutrient deficiencies and can treat accordingly. Nutritionists are able to do many wonderful things to help people improve their overall wellbeing and address specific health concerns. It's great. We still don't know enough to ditch whole foods in favor of a synthetic lab concoction. We have identified some of the major components of specific foods, i.e. oranges have a lot of vitamin C. But oranges are much more than vitamin C. They have a number of additional micronutrients, as well as a general make up that is more complicated than we understand. It has been suggested that micronutrients in our food might actually work in tandem to be more biologically significant to us when consumed together as that food than those individual micronutrients act individually. In other words, the sum is much more than its parts. Rhinehart, the mind behind Soylent, has been quoted in The New Yorker as saying, "You need amino acids and lipids, not milk itself. You need carbohydrates, not bread." He has falsely assumed that fruits and vegetables are not vital as themselves, but are merely inefficient vehicles of certain vitamins. He's wrong on this point. Whole foods are revealing themselves to be much more important than the few components that we've managed to identify. More research is definitely needed to help us understand what truly makes up the food we eat. We haven't fully learned exactly what our food is made of, nor understand the complexities of how our bodies respond to the delivery system (i.e. the whole food). For example, in the last decade we have discovered hundreds of components in our plant foods that we didn't know about previously. These newly discovered phytochemicals are so important as to now be household names, such as lycopene. Think how much more we are still missing. Soylent, and many other similar products, derive their vitamins in a lab, avoiding whole foods altogether. Synthetic ingredients are often less bioavailable and sometimes even dangerous. Some examples: Soylent uses D2 (ergocalciferol) as its vitamin D source instead of D3 (cholecalciferol). Cholecalciferol is the superior form of vitamin D; when consumed, D3 is more effective at raising our blood vitamin D levels . Soylent also uses the synthetic version of vitamin E. Synthetic vitamin E is dl-alpha tocopherol while the naturally derived form is d-alpha tocopherol. Note that the "dl" forms of any vitamin are synthetic. According to the National Institute of Health, the synthetic version of vitamin E is only half as active as the same amount of the natural form. But even more concerning is the fact that the synthetic form of vitamin E has now been linked to an INCREASED risk of cancer . Supplementation of isolated vitamin A, also included in Soylent's ingredients as the synthetic Vitamin A Palmitate, has been associated with in an increase risk of all-cause mortality . It would seem that our bodies have evolved to obtain complex nutrition in the form of whole foods. With regard to the importance of food synergy and reinforcing the idea that we have more to learn: Studies have shown that consuming broccoli and tomatoes together has a better effect on tumor growth than eating broccoli or tomatoes alone, AND (and here is the extra kicker) better than consuming isolated cancer-fighting chemicals that we've already identified in those foods. There is more to tomatoes and broccoli than we know. The idea behind "Ultimate" meals are that their given parameters apply to everyone (or at least nearly everyone). In reality, we all have varying dietary needs. Over simplifying and attempting to create one meal that is appropriate for everyone is a fool's errand. 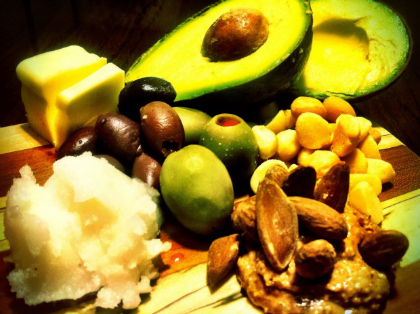 There is not one perfect ratio of protein : fat : carbs that is best for all of us. We have different caloric needs. We each need more or less of various micronutrients based on our lifestyle and biology. 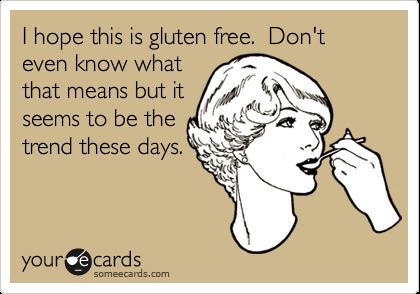 Not to mention various allergies, sensitivities and tastes. The whole notion that it is possible to create one meal that is right for everyone is just wrong. The ritual of eating a meal has been shown to be important as well. When we smell food our bodies start to prepare for incoming nourishment. Our mouth salivates, our gall bladder releases bile etc. Truly tasting our food, the act of chewing: these things have been shown to be linked to physiological responses in our bodies that help us digest and absorb our food. If we remove these steps by simply consuming all-in-one liquid food-stuffs, we will remove important cues. We may not even absorb all of that supposedly "perfect" nutrition. There's also the importance of getting your body into parasympathetic mode before eating so that we can properly digest our food. (Parasympathetic mode refers to our parasympathetic nervous system, which is responsible for the colloquially named Rest & Digest mode, the opposite of Fight or Flight.) Most "Ultimate"-style meals are designed to be easily consumed on the go and as a solution to traditional time consuming eating. While we all sometimes need quick meals, perhaps encouraging eating full meals on the go is not great for our bodies. We shouldn't be running around while eating. Taking the time to stop and prepare your body for food is important. There's also the greater role of food in our lives. Preparing meals as a family. Connecting with the Earth and where our food comes from. Cultural recipes and traditions around food. All of these are deeply important to our identity and daily lives. The whole notion of removing these key elements can have detrimental effects on our overall wellbeing. Granted, many people do have strained schedules, and for them Soylent may offer up a reasonable option. After all, if you were going to choose a fast food drive-through, Soylent is probably a better choice. A better choice, yes. Still not a particularly great choice. If you are honestly looking for a way to eat healthy when money and time is short, there are real options. These options require looking at ways to hack our schedule. Not our diet. I promise you there are brilliant ways to incorporate meal planning that result in lots of good food being made without a lot of time or money. But yes, I can see Soylent being a decent option in a pinch. I believe that when it comes to these meal-substitutes, how we use them in our lives is everything. According to a Time article, Ambronite's creators hope that their product replaces things like protein bars, which are full of sugar and crappy ingredients, not regular meals. This is precisely the intention that I can get behind. The stance of Soylent's creator Rob Rhinehart, who believes that eating is inefficient and is seeking to replace the traditional act of consuming food with lab concoctions, is not. Sometimes we really do need something to grab and go and attempting to formulate a better one is great. Rhinehart's approach is that his little bottle is in fact sufficient to replace, and is superior to, all of the things that I have mentioned before. The complexities of our food, the manner in which we eat, the culture and community formed around eating: All of these he thinks are better replaced by a single bottle. That is the arrogance that I believe many other writers are responding to so strongly. Marketing and intention do matter. I would like to borrow the concept of "Upgrading" from my previous article, Superfood Confusion. We should view these products as processed food upgrades. If you were going to consume a processed food full of sugar and crappy ingredients, you would be better off consuming Soylent with its lower sugar and modest amount of nutritional content. It is not, however, a health food. Its ingredient list proves this point. Maltodextrin is an artificial sugar. Soy protein isolate is very controversial with its health risks being currently debated and researched. There's a lot of concern over contamination and additives during the chemical process that isolates the soy protein, as well as the high estrogen content in soy. As I mentioned before, all of it's vitamins are synthetic versions that are generally not the most bioavailable and have the potential to be dangerous. If you want to upgrade Soylent: choose Ambronite. Or any other food based "complete meal." They will have a lot more nutrition and a lot less crappy chemicals. While these meals will still be processed, they are at least starting with real food. For comparison, here are Ambronite's ingredients: organic oats, organic coconut, organic lucuma, organic chlorella, wild bilberry, wild sea-buckthorn, organic brown rice protein, organic stinging nettle, organic rice bran, nutritional yeast, organic spinach, organic spirulina, organic almond, organic flaxseed, organic apple, mineral salt, organic brazil nut, organic blackcurrant. Still, Ambronite is a packaged powder and should not be a substitute for all food. It does not address the one-size-fits-all issue, how we eat, or food as culture. It does, however, offer up a rather good alternative to quick, processed options for when we would need something to fit that bill. It is worth mentioning, though, that Ambronite is significantly more expensive than Soylent. Ambronite costs about $6 more per meal (albeit, Ambronite's meals are 500 kcal while Soylent's are 400 kcal.) And so while I would offer up Ambronite as the clearly better option for those who can afford it, the sheer price-point of Soylent has its merit. It should be mentioned that the idea of developing a "complete meal" powder has been floated as a way to improve global health by getting better nutrition to the malnourished all over the world. This is commendable. A non-perishable, cheap food source with some degree of nutritional value would be lifesaving for many people in the world. Soylent (or others) has the possibility of being a really wonderful thing for the world's malnourished. While it should not be thought of as a health food for those of us with access to quality whole foods, it could certainly help address world hunger. Personally, I think that should be its main pitch. 1. Logan VF, Gray AR, Peddie MC, et al: Long-term vitamin D3 supplementation is more effective than vitamin D2 in maintaining serum 25-hydroxyvitamin D status over the winter months. Br J Nutr 2013, 109:1082-1088. 2.Klein EA, Thompson Jr. IM, Tangen CM, Crowley JJ, Lucia MS, Goodman PJ, et al. Vitamin E and the risk of prostate cancer: the Selenium and Vitamin E Cancer Prevention Trial (SELECT). JAMA 2011;306:1549-1556. 3.Bjelakovic G, Nikolova D, Gluud LL, et al: Antioxidant supplements for prevention of mortality in healthy participants and patients with various diseases. Cochrane Database Syst Rev 2008:CD007176. It's how our bodies function. There is an entire industry of products and techniques designed to help people obtain more energy. Apparently, a lot of us are either struggling with low energy or feel as though we want more energy to get through our day. In biochem speak our body's energy source is ATP. Harken back to your biology class days and see if you can remember hearing the term 'cellular respiration.' Cellular respiration is the process (or rather series of processes) that allows our bodies to produce ATP. I'm not going to throw a bunch of charts your way, there are plenty of text books that can do that, but I am going to briefly explain the difference between helping your body create more energy and tricking your body into believing it's not tired. Basically, I'm going to talk about the difference between Caffeine and B-Vitamins. I like coffee a lot and I consume it regularly. I've even chatted up its benefits multiple times before, such as here and here. I absolutely believe that coffee can be a part of a healthy diet. Not surprisingly, though, that statement comes with several caveats and the need to understand exactly what coffee (or any other source of caffeine) is doing to your body. So, let's back up and quickly revisit the science stuff. Caffeine does not actually provide your body with energy. It prevents your brain from receiving signals that it is tired. In our brains, caffeine passes into the central nervous system and actually blocks the uptake of adenosine. Adenosine is a chemical messenger (known as a neurotransmitter). Primarily, Adenosine sends the message that we are tired or sleepy. By preventing this transmission, our brains are tricked into thinking that we are not tired. Which means that we are not actually helping our body make more ATP, we are simply "turning off" (if you will) our sensation of drowsiness. That's not to say that caffeine doesn't do other good things. It also affects our dopamine, serotonin, norepinephrin, and acetylcholine— all of which are also important neurotransmitters, often associated with our mood. That is why caffeine has been shown to relieve depression and improve alertness and muscle activity, even in the well rested. Still, this should make it clear that caffeine should not be used simply as a substitution for quality sleep. Caffeine can certainly be abused and you are not doing your body any favors by attempting to fool it into not feeling tired when you truly need rest. In moderation, however, caffeine can have real benefits. It is important to mention that not all caffeine sources are created equal. For example, caffeine pills can be extremely dangerous. High doses consumed quickly can cause heart palpitations or worse. Soda and energy drinks are absolute junk full of chemicals that are extremely unhealthy. Plus, some energy drinks have astronomical amounts of caffeine. Potentially dangerous levels. Coffee, tea, and raw cacao (along with other natural food sources) are certainly the best options. Be aware that different types of coffee and tea vary widely in their caffeine amount. For example, cold brewed coffee contains more caffeine than traditional brewing. Even different mega coffee chains swing wildly in their drip coffee's amount of caffeine. Also, if you're going the coffee route, try to buy organic and socially conscious brands. Coffee is one of those foods that can be harvested in really poor ways, from spraying tons of pesticides, destroying rainforest, paying terrible wages and processing with chemical flavorings. Brands that don't do these things will tell you. Since it is not realistic to track all the milligrams of caffeine you are consuming each day (although having a rough idea by understanding how may cups of coffee you drink, for example, is a great idea), understanding it in the context of your body is a great approach. For me, this means making a conscious choice to not consume coffee every day. I switch it up with green tea on days that I am well rested. It means feeling in my body if I am consuming caffeine to feel good or consuming caffeine to not feel bad. Those are two different things. If we become addicted to caffeine and truly 'need' it everyday, it means we feel poorly without it (often regardless of our sleep). I don't want to feel that way. If I consume a moderate amount of caffeine I want to then feel really great. I also try to keep an eye on times when I am using caffeine to get through a busy work week and recognize that I can consume more coffee for a few days, but then I need to make time for some quality self-care that includes adequate sleep. It's not always easy, but it is important for our overall wellbeing to not use caffeine as a permanent crutch. And that is the Caffeine Side of Things. If caffeine doesn't actually help our bodies make more ATP, our cells main energy source, what does? In the process of cellular respiration, there are 3 different cycles that happen: Glycolysis, Citric Acid Cycle (aka. Krebs Cycle, aka. TCA Cycle...I know...it's silly) and the Electron Transfer Chain. You can nerd out on those cycles if you wish, but instead of delving deep into biology on this post, let's just say that at the end we get 36 ATP and within those cycles a number of co-factors play their part. Many of these co-factors are co-enzymes that are made from B-Vitamins. FAD and FADH are coenzymes that are made from B2, also called Riboflavin. NAD and NADH are coenzymes made from B3, also called Niacin. Those coenzymes are absolutely key to the whole process and you will see them pop up all over charts that explain cellular respiration. Other B vitamins play big roles too that contribute to the formation of ATP. B1 is essential to carbohydrate metabolism. B6 is necessary for amino acid (protein) and fatty acid (fat) metabolism. In addition to B vitamins, CoQ10 is another vitamin that is essential in cellular respiration. All of this is to say, that there is another approach for optimizing your energy that actually gets to the heart of the issue. In this case, the release of our bodies' energy source: ATP. We consume food sources of the nutrients that play key roles in the release of ATP. Here's a few examples of food sources with high amounts of B vitamins. (CoQ10 is listed too). I put the name that you are most likely to see used on packages first, with the less common name in parenthesis. Some are generally referred to by their number, others their name. CoQ10 (Ubiquinone): Meat, poultry, fish, soy beans, nuts, fruit, vegetables, eggs and dairy products. The take away should certainly be that eating a varied whole-foods diet is best. Meats, fish, eggs, dairy, beans and legumes, leafy greens, nuts and seeds, other vegetables and even some fruits are all important sources of B vitamins. Another option is supplementing with a B-Complex vitamin. I especially recommend this for clients who are attempting to eliminate caffeine from their diets. It will really help with the transition period. A B-Complex is usually a better alternative to supplementing just one B vitamin as all of these vitamins work in tandem. And as always, make sure to buy quality supplements. Vitamins are not well regulated so many cheap varieties at convenience stores have been found to not actually contain the vitamins they claim, and even if they do, they often use less bioavailable forms of vitamins and lots of additives that are actually detrimental to our bodies. Go for professional grade lines and vitamins made from whole foods. For help with supplementation see a nutritionist. To work with me, check out my Work With Me page. School's out. The temperature is rising. It's even official: Sunday was the first day of Summer. Time to take a look at what summer has to offer us. Below is a list of some of the foods that you can expect to find at your local farmer's market. They are also foods that should be fresh and well priced in grocery stores. In other words: they're great foods to buy now! Eat raw, cooked or dried. Great as a sweet treat when dried or cooked with dishes. Eat raw or cooked. Eat the fleshy part of the leaves and the base, known as the "heart." Eat Raw. Great on salads, sandwiches, and as a dip (guacamole!). Eat raw. Can be cooked into pies, cobblers, jams. Awesome topping to salads, cereals or just on their own. Eat raw or cooked. Great steamed or sautéed. Great raw. Can be cooked into pies, cobblers, jams. Most have pits. Eat cooked. Can be used in many different ways. Right off the cob is great. Eat raw. Great in salads and wraps or with some hummus. Eat cooked. Great sautéed, grilled or roasted. Eat raw, dried or cooked. Great cooked with meat. Super sweet, especially when dried. Eat raw (or dried as raisins!) Many varieties with different colors, some with or without seeds. Eat raw. Be careful about any medications that may have an interaction. Eat cooked. Great steamed or sautéed. Eat raw. Great on their own or as a fruit medley. Eat cooked. Many different varieties. Great sautéed or roasted. Eat raw, cooked, juiced, as sauce etc. Try heirloom varieties! Eat cooked. Great sautéed or roasted. It's officially October which means that I am willing to surrender to the passing of summer and the onset of fall. The fall equinox was September 22, but in Los Angeles September weather is still fully beach-appropriate. In October, the evenings let go of the summer heat and release cool, light breezes. Thus, I am now ready to embrace the gems of fall: earth tones, light sweaters and scarves, and the fruits (and vegetables!) of fall. Fall happens to be my favorite season, the color pallet matching my own interior design choices and the crispness in the air my ideal weather. Going along with this season are some truly wonderful foods. Below is a list of Fall Seasonal Foods to be found at your local farmer's market. Eat raw or cooked. Great in pies, cider, on salads and as apple sauce. Eat raw or cooked. Typically in salads, but can be sautéed and added to hot dishes. Eat raw or cooked. Great on salads, by themselves and in tarts. Eat raw or cooked. Great on salads, with hummus or in stir fries. Eat cooked. (Raw okay, but it is a goitrogen raw.) Great steamed or sautéed. Eat cooked. (Raw okay, but it is a goitrogen raw.) Great sautéed or roasted. Eat cooked. Eat leaves and steams. Best sautéed. Eat raw or cooked. The fronds can be used as an herb dried or fresh. The bulb and stalk can be eaten raw, sautéed or roasted. Eat cooked. Great steamed, sautéed, roasted or baked into dishes. Eat cooked. (Raw okay, but often hard to digest. You can "massage" kale for a raw kale salad.) Remove stems. Great steamed and sautéed. Eat raw or cooked. Great by themselves, on salads, in desserts, or sautéed with butter/ghee. Eat raw. Add the seeds to salads, fruit bowls or as a breakfast topping. Eat cooked. Great sautéed, roasted, baked into breads and pies, or in smoothies. Eat raw or cooked. Great on salads, sandwiches, in a stir-fry or roasted. Eat raw or cooked. Raw has a stronger flavor. Leaves and bulbs are edible. Leaves best sautéed, bulbs best sautéed or roasted. In my previous post I discussed the wine, chocolate, coffee debate as it is commonly discussed in popular literature. (Mainly, antioxidants and polyphenols.) I realized that what I didn't do was discuss one of the other ways to approach some of these foods. Wine doesn't really fit this topic, but chocolate and coffee certainly do. I, like many Americans, love coffee. I don't simply mean I like the caffeine, I mean I LOVE the taste of coffee. So much so, that I drink my coffee black. Of course, when I'm at a cafe, I also love a good latte (such as the one pictured above from Urth Caffe in Los Angeles before I lapped that baby up). It's interesting that Americans love coffee so much because, as it turns out, coffee is really the only bitter taste in most American diets. The Five Tastes are Sweet, Salty, Sour, Bitter and Umami. (Umami means savory.) The most lacking taste in most American diets is Bitter. With the exception of coffee, most Americans don't consume any bitter foods. Why is this bad? Because bitter foods do many wonderful things. While I am a proponent of herbal medicine and absolutely believe in the bottom two, most Americans are probably more interested in the top two. The number of people in America (and increasingly all around the world) with digestive issues and blood sugar problems is huge. Put simply, bitters get our digestive juices flowing and help to break down food. They also modulate blood sugar spikes- both up and down. What many people don't realize is that after eating a sugar-heavy meal, your pancreas will work really hard to send lots of insulin into the blood stream in order to get that sugar into your cells. Since there is so much insulin floating around concerned with getting the sugar out of the blood and into your cells, it will actually overshoot and pull too much sugar out of your blood causing reactive hypoglycemia. Your blood sugar will actually fall too low and you will have a sugar craving. Which, of course, is actually the last thing that your body really needs. That cycle can keep repeating itself and if you indulge sugar craving after sugar craving you are heading down a path towards Type II Diabetes. Overtime, your body will not be able to keep up and that is when you get insulin resistance and become hyperglycemic, and a diabetic. Not what you want. What is something that can help? Well first: try not to eat a load of simple sugars, but if you do...Bitters! The taste of bitter will squash a sugar craving immediately. Suddenly the concept of dessert coffee makes sense, huh? It actually aids in your digestion and can overcome blood sugar disruption. Of course there are a lot of other bitter tasting foods out there besides coffee. Of course, one of the best bitter foods to add to your diet are bitter greens. Most greens are bitter and most American diets are thoroughly lacking in greens. There are also many herbs that have a bitter taste such as dandelion, wormwood and goldenseal. Incorporating bitters into your diet can help stop blood sugar swings and help your body properly digest your food. It's a pretty good deal. And just to be clear, you don't want to only treat bitters as a post sugar-indulgence tonic. Try incorporating them into your everyday meals and habits; your body will thank you for it. Plus, if you'd like to see an herbalist, I'm sure he/she knows many types of various bitters to treat certain ailments. Get ready for some science! FODMAP stands for Fermentable Oligo-Di-Monosaccharides and Polyols. They are certain short chain carbohydrates that can sometimes be poorly absorbed in our small intestine, causing gas and bloating. If you are experiencing a lot of gas and bloating, or other IBS-like symptoms, this is one particular elimination diet to try: a Low FODMAP diet. It is possible to have a sensitivity to FODMAPS, or to a few particular FODMAP foods. If this applies to you, following a Low-FODMAP diet could remedy the uncomfortable gas and bloating you may be experiencing. Essentially, a Low-FODMAP diet involves eliminating all foods that contain high amounts of FODMAPS. There are five main sugar-alcohols that qualify as High FODMAPS: fructose, lactose, fructans, galactans and polyols. If you are experiencing regular gas and bloating and want to experiment with a low-FODMAP diet this is what you will do. 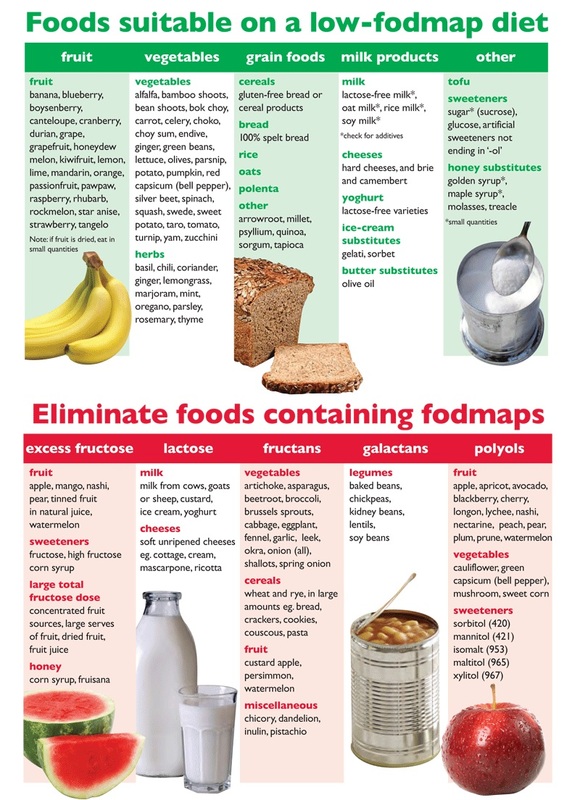 For a period of 2-4 weeks, eliminate all HIGH FODMAP foods, and focus on mainly eating LOW FODMAP foods. During the 2-4 weeks, keep track of your symptoms. Actually, write them down. It will help. If at the end of this 2-4 week period (I recommend 4 weeks if you can manage) your symptoms have improved, then some particular FODMAP foods are probably to blame. To discover which foods these are, you will need to slowly reintroduce High FODMAP foods one at a time. Reintroducing foods can be a precise process because each food will be reintroduced over several days and there should be break days before moving onto the next food. This ensures that you properly determine which foods are trigger foods. There may be a bunch or only a few. This is why I strongly recommend working with a professional if you are having digestive upset and are interested in trying out any type of elimination diet. Also, remember that I am not an M.D. This blog is not diagnosing you with any disease or claiming a treatment plan. If you have not experienced any symptom relief (or only very minor symptom relief) from removing High FODMAP foods from your diet for multiple weeks, then there is probably a different food sensitivity or something else going on. Be sure to work with a Healthcare provider. 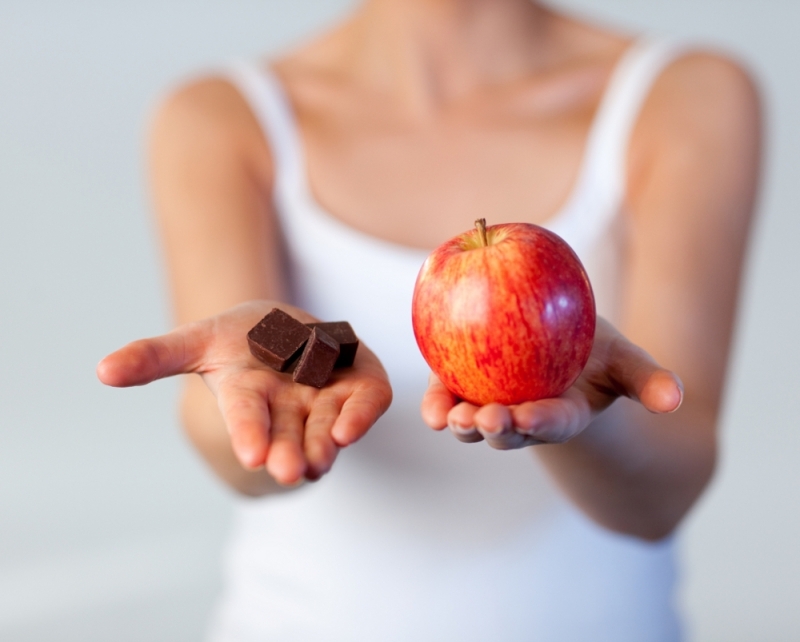 Ideally, a Nutritionist or someone with extensive nutrition training. We've officially "sprung forward." The days are now starting to feel legitimately longer and maybe, just maybe, warmer weather is around the corner. With that in mind, I thought I would introduce you all to some lovely, if unfamiliar, vegetables that you may see pop up at your springtime farmer's market. Description: Originating from southern Europe and the Mediterranean, artichokes are now also grown in the USA. Artichokes are large thistles and are high in fiber, folic acid and vitamin C.
Taste: Mild vegetable flavor. Kind of like a brussel sprout or asparagus, but less strong. How to eat: They can be eaten cold or hot. The edible portions of the buds consist primarily of the fleshy lower portions of the individual leaves and the base, known as the "heart." Leaves are often removed one at a time, and the fleshy base eaten, with hollandaise, vinegar, butter, mayonnaise, aioli, lemon juice, or other sauces. The fibrous upper part of each leaf is usually discarded. They can also be sautéed and grilled. Description: Known as a “German Turnip,” kohlrabi is part of the cabbage family. Originally European, kohlrabi is now grown throughout the USA. They contain wonderful phytochemicals that are highly regarded for their antioxidant properties. They are a good source of Fiber, Copper, Potassium, Vitamin C, Vitamin B6, Manganese, Thiamin, Folate, Magnesium and Phosphorus. Taste: Mild and slightly sweet. Think broccoli stems and cabbage flavor, but lighter and sweeter. How to eat: Remove the thick outer layers to reveal the tender, crisp center. You can eat kohlrabi raw or cooked. The greens can be cooked like kale. Description: Known also as wild leeks, ramps are wild onions that grow in North America. They are high in vitamin A, vitamin C, selenium and chromium. How to eat: The entire plant is edible. Usually sautéed, roasted or grilled. Raw for the daring. Description: Its history dates back to ancient China, and is now also grown in Europe and the USA. Rhubarb is grown for its red stalks (similar looking to celery stalks). Contains vitamin C, potassium, fiber and some calcium. Taste: Strong tart taste. Often cooked with sugar for use in desserts. How to eat: Only eat the stalks, not the leaves. Rhubarb stalks can be eaten raw or cooked. They are most commonly known for being combined with strawberries in pies or tarts. To be creative, use them in drinks such as a rhubarb margarita or rhubarb bellini. They can also be roasted and used in sauces, chutney, or salsa. Taste: Green and earthy flavor. When cooked, they are more flavorful than their cousin, basil. How to eat: Cooked. Usually boiled or blanched. Can also be consumed as a dried herb. Description: A root vegetable. The root is high in vitamin C and fiber. The leaves are high in vitamin A, folate, vitamin C, vitamin K and calcium. Like rutabagas, turnips contains bitter cyanoglucosides that release small amounts of cyanide. Some people who are sensitive to cyanoglucosides may find turnips and other cyanoglucoside-containing foods intolerably bitter. Taste: Turnips have a pungent, bitter flavor similar to cabbage or radishes when raw, but become mild when cooked. How to eat: Both the root and the leaves are edible. Typically, turnip roots are peeled and can be eaten raw or cooked. If the flavor is too strong raw, then cook the root. They are commonly roasted, steamed, boiled and sautéed. The leaves are commonly sautéed or steamed. Ghee, or clarified butter, is butter that has had the milk solids and water removed. As a result, ghee is more easily tolerated by a lot of people's digestive system (for example people with dairy intolerances) and can also be used at high heat. It is extremely important not to use oils at heats above their smoke point, or else you will be oxidizing the oil and thus creating toxic fumes and free radicals. Not good. Therefore, I always get excited when I find out about oils that can withstand fairly high heat, such as coconut oil and avocado oil. Ghee is a great alternative and can withstand even higher heat. Ghee is great for sautéing, but if you are baking, stick with butter (or an alternative such as coconut oil). As an interesting factoid: traditional Indian medicine considers ghee to be the most satvic (health promoting) fat available. If you are sautéing, which I assume most of you are on a fairly regular basis, then embrace the ghee! You can purchase ghee at health food stores, and maybe even some well stocked conventional grocery stores, which is perfectly legit. I've previously bought the brand pictured above and it will definitely work. If, however, you want the most fantastic ghee, make it at home. It's quite simple. Purchase some high quality unsalted butter. (Think organic and grass-fed.) 1 pound of butter will make 1 1/2 cups of ghee. Heat butter in a pot on the stove at low-medium heat. After 5-10 minutes you will notice the milk solids start to form on the bottom and sides of the pot if you move the butter around a bit. When the milk solids just start to turn brown, pour off the ghee through a couple cheese cloths into a glass container. Voila! The ghee will solidify as it cools. Presto! Most of us are familiar with the idea of soaking beans before we cook them. For tips on how I cook beans, see my previous post Don't Fear the Bean. Grains, however, are a different story. There is some disagreement about whether or not soaking grains is necessary and many of us have never even heard about the need to soak whole grains before cooking. Should we soak our whole grains? Whole grains have phytic acid. For you chemistry nerds: phytic acid is a saturated cyclic acid and stores approximately 80% of the phosphorous in grains. Unfortunately, when phosphorous is bound to the phytic acid our bodies cannot absorb it. Phytic acid also binds to other minerals, such as calcium, magnesium, iron and zinc, preventing our bodies from absorbing these critical minerals. In short, too much phytic acid consumption can result in mineral malnutrition. On top of that, too much phytic acid can cause digestive upset. Therefore, if you are suffering from digestive upset such as gas or bloating, and/or having symptoms of mineral deficiency, I suggest soaking your whole grains. It's actually quite easy. Take your chosen whole grain (rice, millet, quinoa, wheat etc.) and place the amount that you want to cook into a pot or bowl. Cover with warm water and add 1-2 tablespoons of acid (such as vinegar, lemon juice, whey, kefir or buttermilk.) Then let the bowl/pot sit covered for ideally 12-24 hours. If you plan ahead, this is super easy. Either set it up to soak overnight or during the day. If you forget or don't know what you want to prepare tonight until you get home, I suggest still soaking for as much time as you can. I tend to find that we can still get some benefit from minimal soaking times, so do what you can. Don't stress yourself out if you forget! The point is to make soaking grains a habit that is easy to do, not an added hassle. Hopefully, setting up your grains (and beans if you are cooking them as well) to soak can just become part of your nightly/morning routine. Diabetes is far too common in the USA. One of the unfortunate complications of diabetes is that neuropathy can develop. Of course, the first (and most important!) step is to get your blood sugar under control. For tips, see my previous post about blood sugar regulation. Unfortunately, if you have neuropathy from diabetes, it can remain even after you've managed your blood sugar. The pain can be very debilitating so here are some things that may help relieve some of the pain. Supplements can definitely be helpful because we are talking about utilizing vitamins for therapeutic purposes, which requires higher doses than a typical healthy intake. Work with a healthcare provider to determine the appropriate supplements and dosages for you. Until then, you can certainly focus on eating foods high in these nutrients. What's the Deal with "Raw" Almonds? You may or may not be familiar with the new laws regarding the required pasteurization of "raw" almonds in the U.S. For those of you who have not read about all of the shenanigans surrounding almonds, let me bring you up to speed. Instead of regulating the CAFOs and the issue of runoff, the Almond Board of California has demanded pasteurization of ALL almonds under their jurisdiction, which is essentially all almonds grown in the U.S. Why would they do this? Well, there is the safety concern side, but that would be best dealt with by actually going to the source of the problem. Almonds are not the problem; the same thing has happened to other innocent foods such as spinach and melons. The problem is the CAFOs and they will continue to contaminate their neighbors until they are forced to deal with their sanitation problems. Therefore, there has been a lot of speculation that the true motivation for the mandate is for the larger almond growers to squeeze the little farmers by making them shell out the money to have their almonds pasteurized, which is a costly step. Was it really a political power play on behalf of the powers that control the Almond Board? Maybe. Maybe not. Either way, the mandate doesn't really get to the heart of the issue and has created a system that now deceives the public. What do I mean by deceiving the public? The new law also dictates that these now pasteurized almonds can still be labeled as raw. Say whaaat? Yep. It's a lie folks. Pasteurized almonds, whether they are treated using the less undesirable method of steam heating, or are gassed with PPO (propoylene oxide, a known carcinogen), these almonds are not raw. Truly raw almonds are a living food. You can sprout them. Pasteurized almonds are dead. So why are companies allowed to lie to us and pretend that their almonds are raw when they aren't? You can still buy truly raw almonds in the U.S. if you buy them directly from the grower at a farmer's market or online. There are a number of small companies that sell unpasteurized raw almonds: a few examples are One Lucky Duck, Renegade Health and Bremner Farms. If you want to know which brands use steam and which use PPO check out this Guide to how almonds are pasteurized. Keep in mind that all certified organic almonds must use the steam method, so buying organic is a great way to avoid PPO. Now that the holiday season is over, many of us may be looking to ditch desserts for a while to make up for the many treats that were consumed throughout December. Instead of completely ruling out anything sweet, if you are looking for a healthy swap, here is a way to "hack" your dessert plate: Raw Desserts. Raw desserts are an awesome way to get your dessert fix without consuming processed sugars. Most raw desserts use raw nuts to make amazing things. Seriously, those two raw cheesecakes pictures below are made with cashews! And they are awesome. As in really, really deliciously awesome. What is a Raw Dessert? Raw food hasn’t been cooked, processed, microwaved, irradiated, genetically engineered, or exposed to pesticides or herbicides. It includes fresh fruits, berries, vegetables, nuts, seeds, and herbs in their whole, natural state. Proponents say cooking destroys most of the vitamins in food and crucial enzymes. In general, the temperature determined to be the cut off is around 115 degrees Fahrenheit. Raw desserts are desserts made using raw foods. I am not a proponent of eating entirely raw foods, but dessert seems to me to be one of the areas where the raw versions flat out trump the processed versions. I don't seem to get any of the negative consequences traditionally associated with eating desserts if they are raw. My blood sugar doesn't spike (probably because there are always good fats, fiber and protein included in raw desserts via ingredients such as nuts, seeds, coconut oil, whole fruits and veggies.) I don't get a food coma after eating them and they digest well. Raw desserts often use dates as the sugar, sometimes maple syrup/agave/raw honey, but never any processed sugars. Personally, I'm not a big fan of agave, so maple syrup and raw honey are my go-to sweetners when a liquid sweetner is required. I also like using Brown Rice Syrup since it is fructose-free. And, because raw desserts are chock full of goodies like raw cacao, raw nuts, and other whole-antioxidant-rich foods, raw desserts are full of lots of vitamins and minerals, unlike most processed desserts which are completely devoid of nutritional value. Not to mention that processed desserts are often incredibly detrimental to our bodies. Therefore, for anyone who fears that they can't possibly satisfy their sweet tooth without consuming crap, I say "Fear not! Make yourself a raw dessert!" They are pretty simple to make usually, unless you want to get all kinds of fancy. Which you can. You can make raw desserts that would bring the house down if you'd like. Or you can keep it simple and still blow the minds of any naysayer out there. There are tons and tons of raw dessert recipes out there, including a couple on my recipe page. Other great sites are Sweetly Raw, Rawmazing and This Rawesome Vegan Life to get you started.